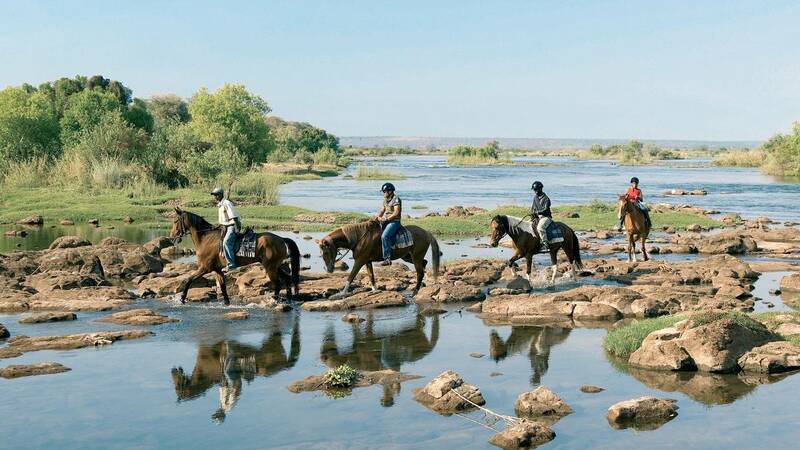 Your guide will lead you on meandering trails boasting beautiful Livingstone landscapes and the possibility of spotting wildlife on horseback.Our horse trails operate on scheduled departure times. For individual bookings, please adhere to these times. For group bookings, timings may be altered on request. Children under the age of sixteen will require written permission from a parent or guardian in order to undertake our horseback trails. What to WearIt is recommended that riders wear suitable closed footwear to protect their feet. Comfortable outdoor clothing should be worn. Skirts and dresses are not recommended. A poncho or raincoat in the rainy season is advisable. Guests or SpectatorsDue to the nature and location of the activity, visitors not partaking in the activity will not be able to accompany their group. We supply all riding equipment required for our trails. Great horseback rides on meandering trails with scenic Livingstone landscapes and the possibility of spotting wildlife on horseback.